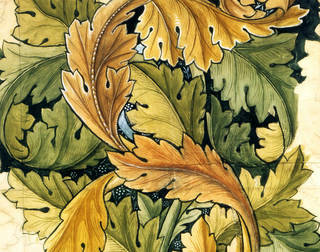 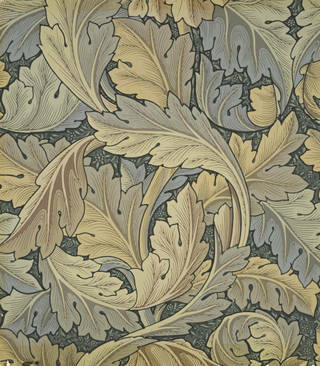 One of the 19th century's most famous names, William Morris is still renowned today as the designer of patterns such as 'Willow Bough' and 'Strawberry Thief'. 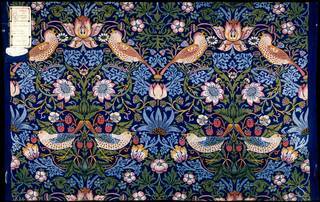 But his wallpapers and textiles are only part of the story. 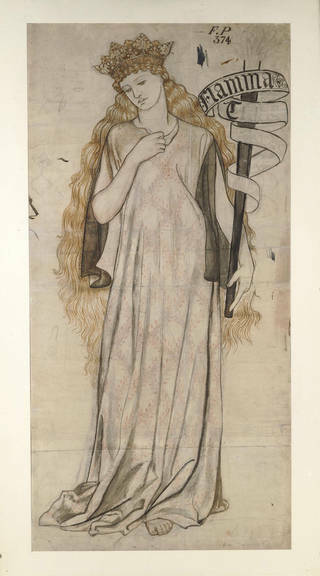 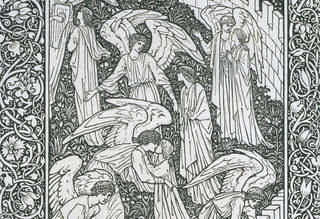 Through developing many other products and working on interiors schemes (including one for the V&A's own café), Morris also mastered many other areas of design – as well as finding time to be a social activist and celebrated author. 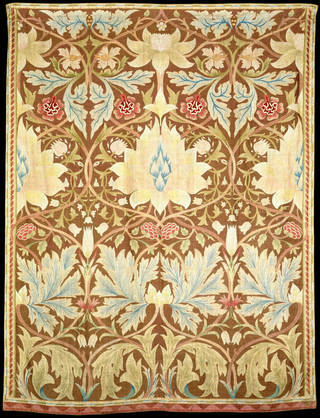 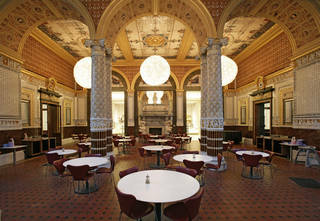 The V&A's hugely varied Morris collection reflects the impressive range of one of Britain's most prolific designers. 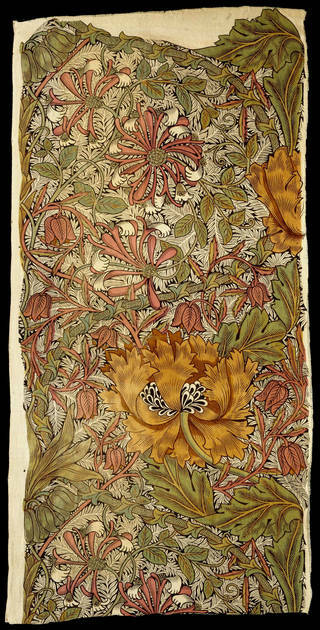 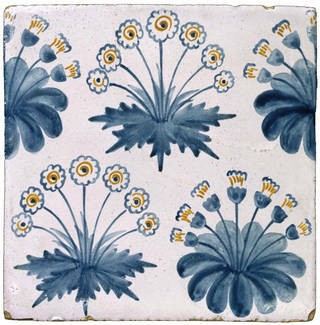 There is a strong focus on Morris's celebrated designs for wallpapers and printed textiles, but other areas of his (and his collaborators') practice are also well represented, including tiles, stained glass, floor coverings, embroidery and furniture. 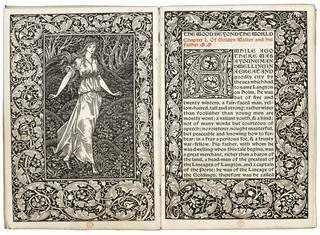 Our collections also feature examples of Morris's publishing design for Kelmscott Press, as well as a number of his illustrated manuscripts. 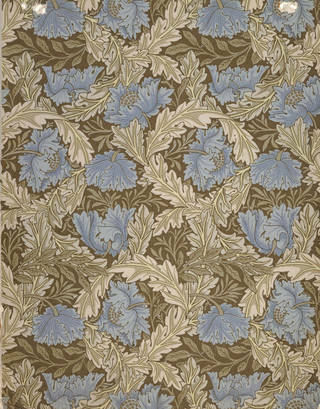 Discover how in his own time Morris – a writer, activist and publisher as well as a designer – was acclaimed for far more than just memorable patterns. 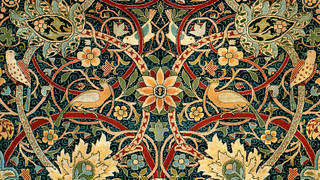 An enthusiastic supporter of the Museum, William Morris played a part in both its decoration and the expansion of its collections. 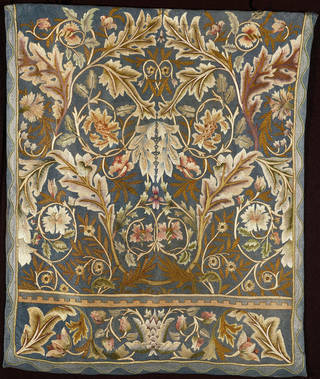 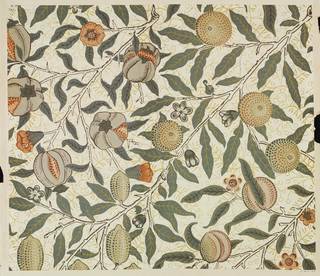 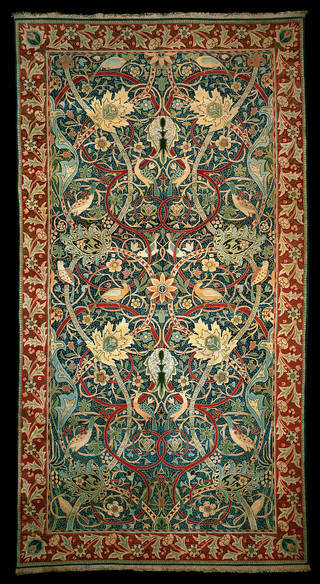 William Morris thought machine-age Britain could no longer produce beautiful things. 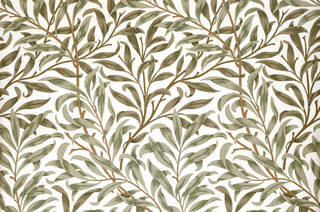 Looking to history for inspiration, he created what he saw as more 'honest', craft-based designs. 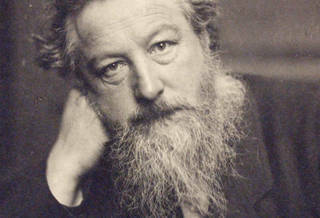 William Morris was an accomplished writer as well as a designer, combining his love of words with design in calligraphy and page decoration.